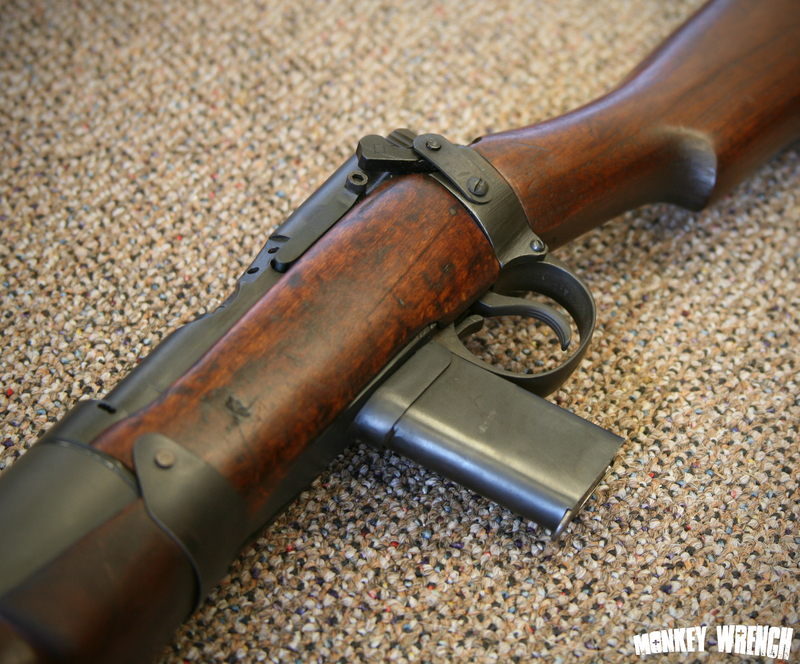 I got to handle and photograph a DeLisle Silent Carbine today. Unfortunately not the original, but the next best thing: A Valkyrie Arms replica. 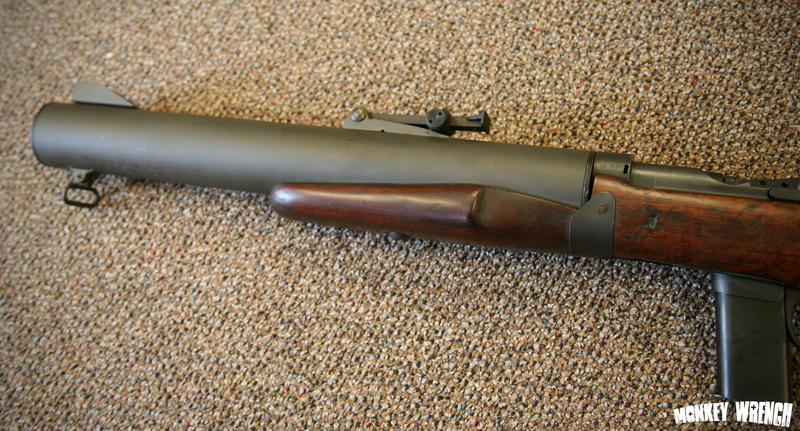 A brief history of the DeLisle Silent Carbine. 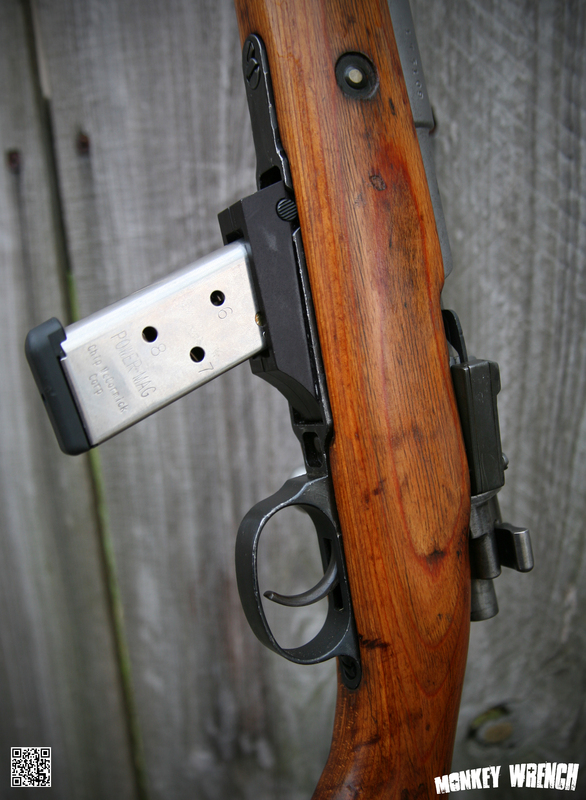 In 1943, Mr William Godfrey DeLisle submitted his .45 ACP DeLisle Carbine prototype to Sir Malcolm Campbell of the Combined Operations HQ for unofficial testing. 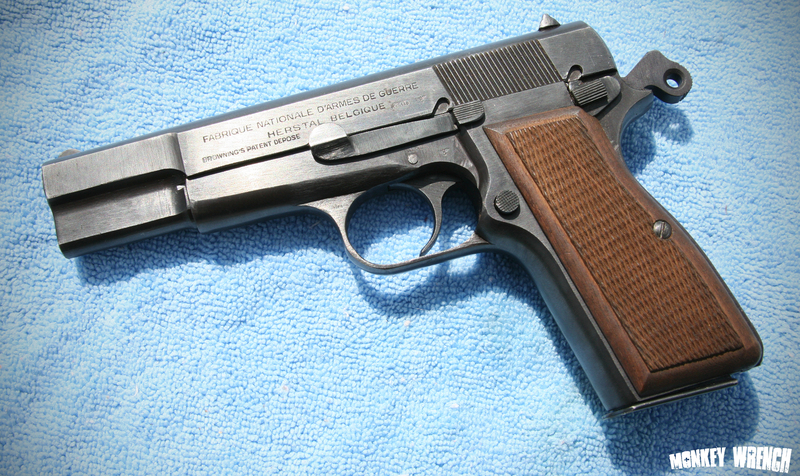 The testing was done at the Atlantic Seashore, and the gun was noted to have no muzzleflash, even at low light and was “inaudible” at 50 yards. 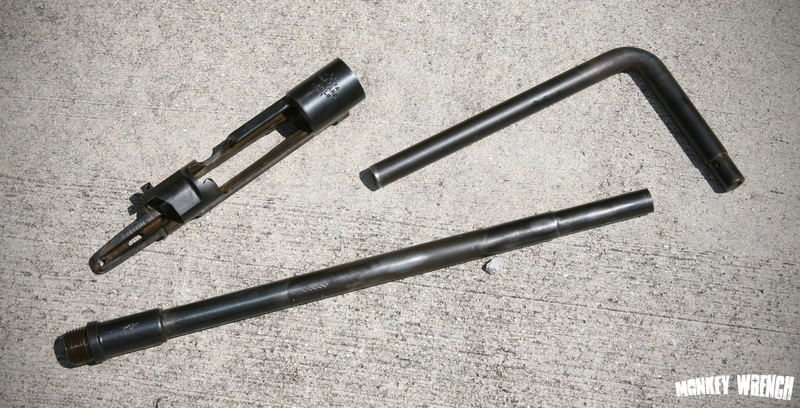 Grouping of 2″ at 50 yards was reported. 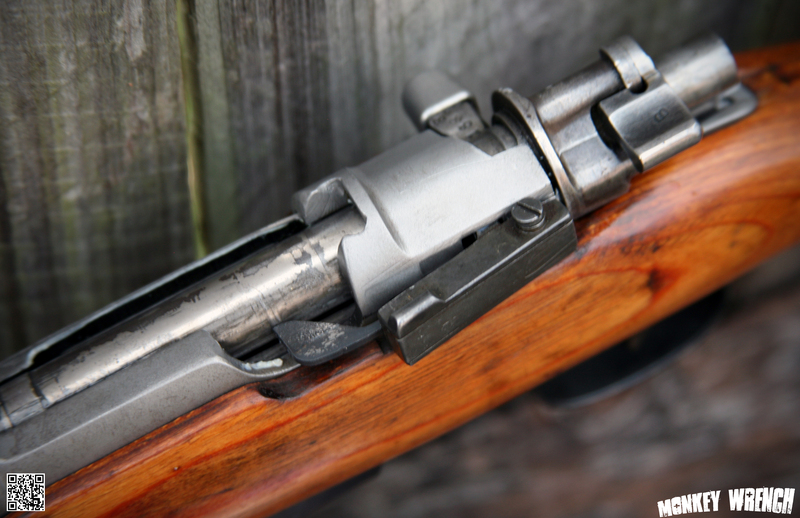 DeLisle was ordered to produce an additional small number of carbines, and with the assistance of a few machinists, out of rejected SMLE rifles and Thompson Submachinegun barrels, 17 additional carbines were produced. These 17 guns were directly put into the hands of British Commando units. 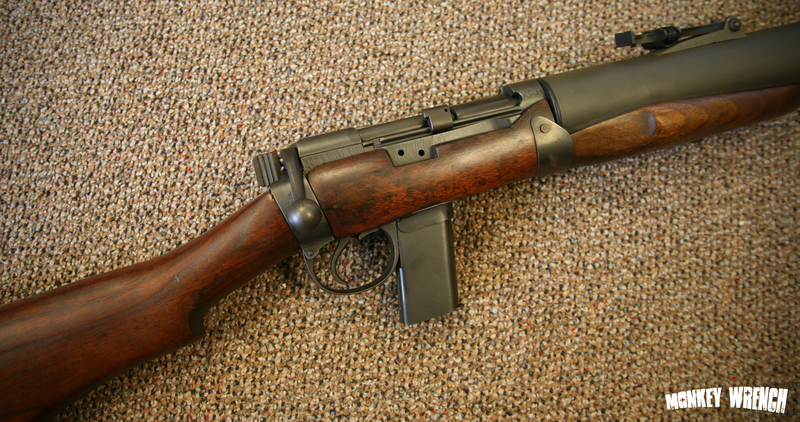 On January 12th of 1944, Mr DeLisle was informed that the “trials to date had been promising”, and by August of 1944, Sterling Engineering Company started production of the carbine, with few exterior modifications. About 130 units were made by Sterling, of which 106 being delivered to Combined Operations. In the meantime, the 17 prototypes had been used extensively in France by British Commandos, on hit and run missions, all while the ordnance board was still reviewing the design and testing. 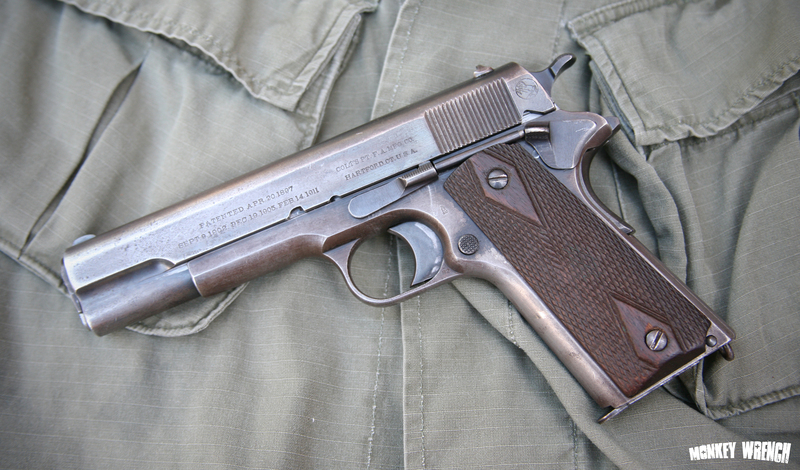 The gun pictured is a Valkyrie Arms replica. 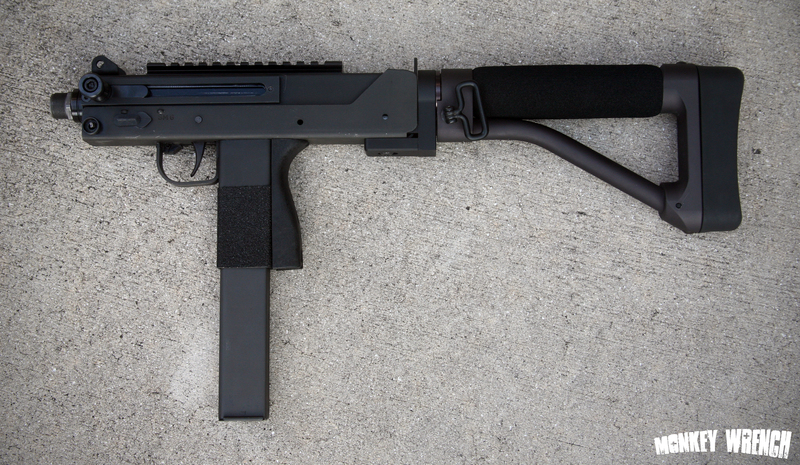 Valkyrie built the gun true to the original blue-prints, including the design of the suppressor. 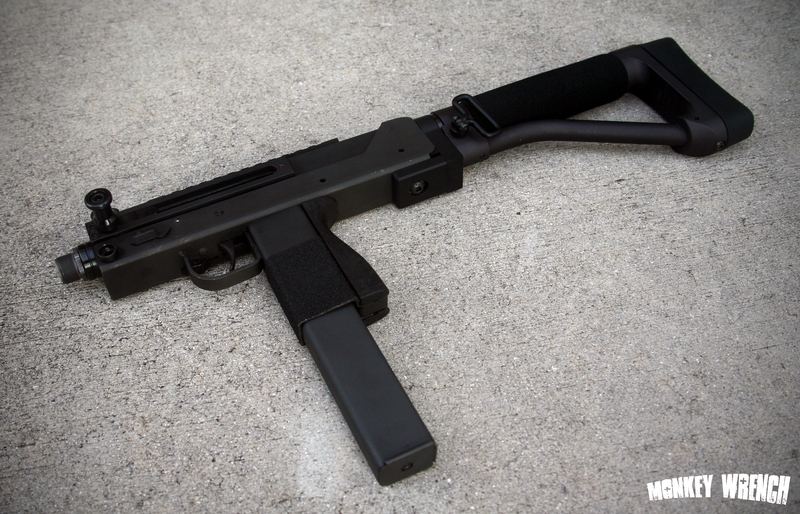 Large Volume Suppressor. The Design of the suppressor was a basic Maxim design, consisting of 2 expansion chambers and a simple yet effective spiral diffusion system. 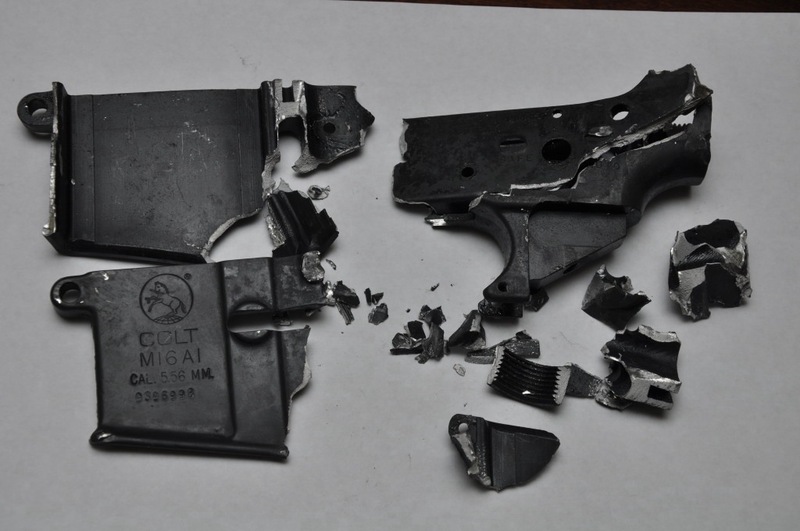 The rifle is fed from a standard 7 round 1911 magazine. 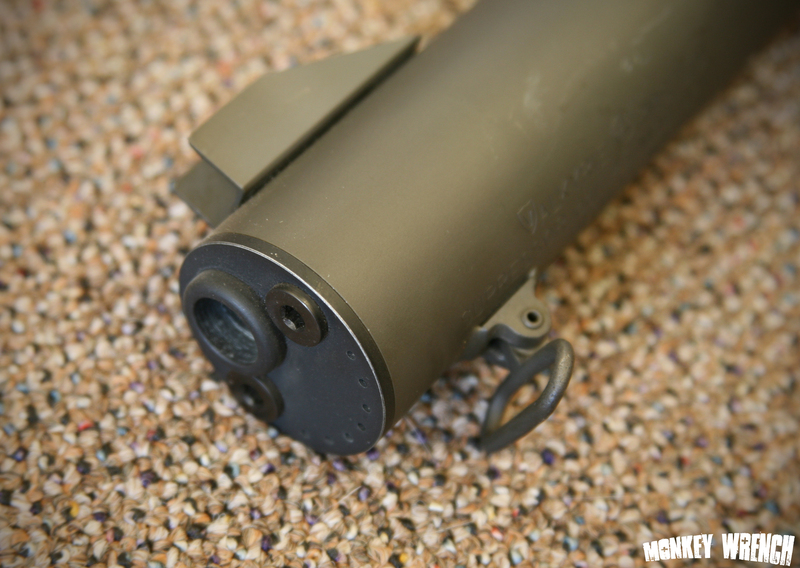 The bore is off-center, to minimize disturbance of the gasses, making the suppressor more effective. 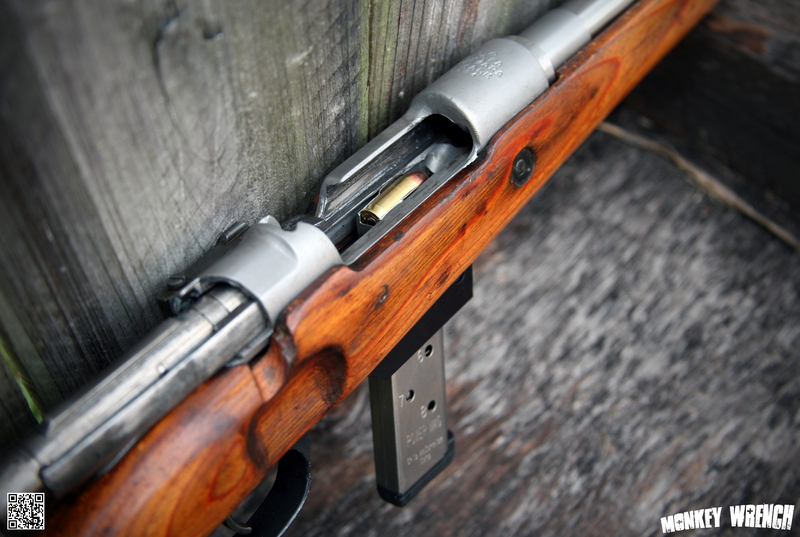 The Valkryie Arms replica is a beautifully built rifle, and not often encountered. Definitely a rare and desirable piece, even for a replica! I hope to be able to shoot the rifle at my next visit. 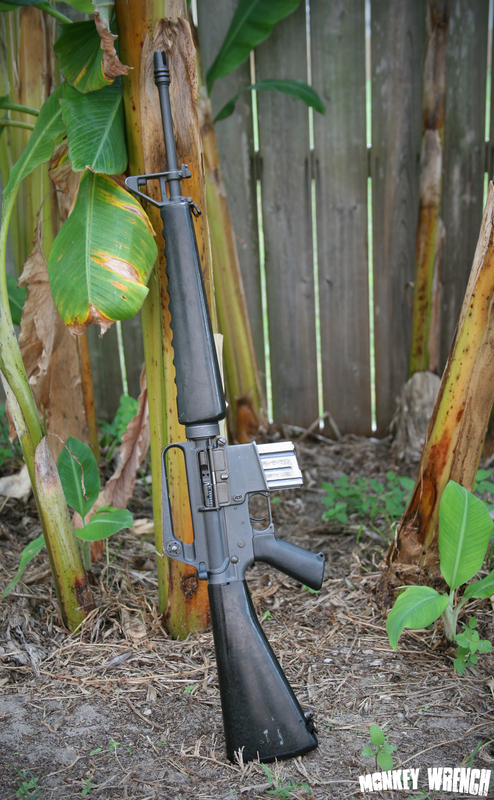 I came across this picture of a government decommissioned Colt M16.